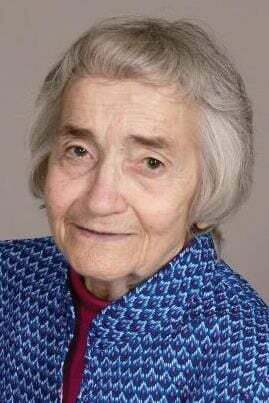 STANLEY — Lucille “Toots” R. Dzienkowski, 90, of Stanley died Saturday evening, March 16, 2019, at Holy Family Catholic Church in Stanley. Toots was born Dec. 29, 1928, in Edson, Wis., the daughter of Ben and Izola Lorenz. She had a high school diploma. As a young woman, she worked as a waitress at the Cameo Room in Eau Claire, Wisconsin. From there, she went to work at the Blue Moon Cheese Factory in Thorp, Wisconsin. She married John L. Dzienkowski at Sacred Heart Catholic Church in Edson May 31, 1949. Together they began farming in Edson. In 1955, Toots and John purchased their family farm in Boyd on Highway X where they settled and farmed from May 1955 to August 1984. Toots was regarded as an excellent farmwoman and an integral part of their farming success. Toots and John retired in 1984 and moved to a home on the outskirts of Boyd. Throughout her life, Toots pursued a number of activities such as bowling, playing cards, traveling and spending time with family and friends. She was a member of the Woman’s Auxiliary for the American Legion Post in Boyd. She was very active in her church serving as a member of the PCCW, a Eucharistic minister, and a CCD teacher. She was a long-time active member of the Catholic Order of Foresters. Toots was greatly loved by family and friends for her community spirit, warmth and generosity, and ability to bring people together with laughter and a good game of cards. Toots was preceded in death by her husband, John; her son, Rolly; four brothers, Jim Lorenz, Clarence Lorenz, Joe Lorenz and Ed Lorenz; and two sisters, Virgie Mlsna and Mary Kille. Toots is survived by two sons, Larry (Barb) Dzienkowski of Fort Myers, Fla., and Dan (Bev) Dzienkowski of Cadott; five daughters, June (Scott) Hootman of Eau Claire, Roxi (Andy) Bourget of Fall Creek, Rene (Rohit) Katial of Castle Rock, Colo., Karen Dzienkowski of Mill Valley, Calif., and Tami (Bob) Stubbe of Oregon, Wis.; 12 grandchildren and 16 great grandchildren; a brother, Ben Lorenz of Boyd; and a sister, Audrey (Bud) Polhamus of Sparta, Wis.
Services will be at 11 a.m. Thursday, March 21, at St. Joseph’s Catholic Church in Boyd where Father William Felix will officiate. Burial will be in the St. Joseph’s church cemetery where Toots will be laid to rest next to her husband, John. Friends can call from 4 to 8 p.m. Wednesday at Leiser Funeral Home in Cadott. A parish rosary will be recited at 7:30 p.m. at the funeral home and also one hour prior to the funeral Mass Thursday morning at the church. In lieu of flowers, memorial donations may be sent to All Saints Parish in Stanley.